PVI-15kW Inverters All Solectria inverters have a standard 5-year warranty. Aluminum or stainless enclosures available by special order. Solectria Optional Warranty Extension to 10 years for 95kW 3-ph. 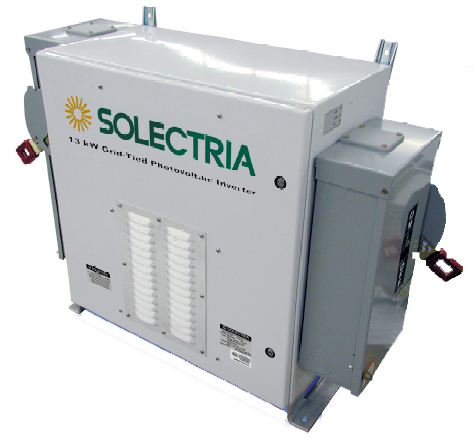 Solectria Optional Warranty Extension to 10 years for 82kW 3-ph. Solectria Optional Warranty Extension to 10 years for 60kW 3-ph. 24 String combiner, 600VDC, NEMA 4 box, Specify fusing. 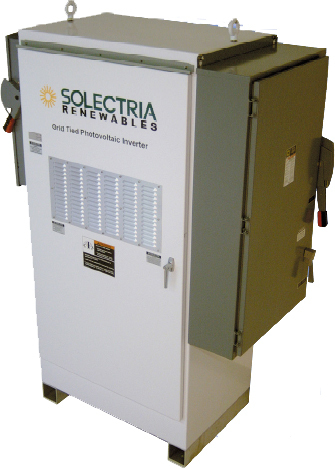 Solectria Optional Warranty Extension to 10 years for 15kW 3-ph. 22 String combiner, 600VDC, NEMA 4 box, Specify fusing. 20 String combiner, 600VDC, NEMA 4 box, Specify fusing. 18 String combiner, 600VDC, NEMA 4 box, Specify fusing. 16 String combiner, 600VDC, NEMA 4 box, Specify fusing. 14 String combiner, 600VDC, NEMA 4 box, Specify fusing. 12 String combiner, 600VDC, NEMA 4 box, Specify fusing. 10 String combiner, 600VDC, NEMA 4 box, Specify fusing. 8 String combiner, 600VDC, NEMA 4 box, Specify fusing.